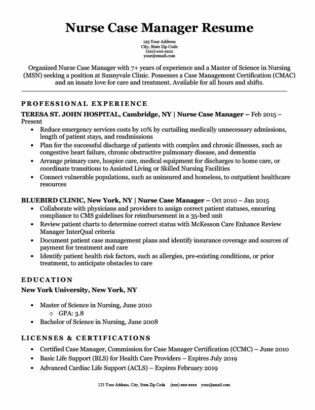 Welcome to the Registered Nurse (RN) resume sample and writing tips page. Here, you can learn how to sharpen your resume and land more interview callbacks. However, if you are in a rush, try out our easy-to-use resume builder to create one in minutes. Not the resume you’re looking for? Browse our huge database of resume examples. Don’t enjoy this template? 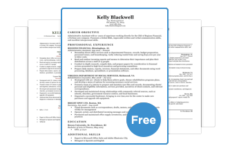 Find a resume template that suits your taste. Need some additional help? Check out our expansive library of cover letters to get a better idea of how to make yours stand out from the rest. 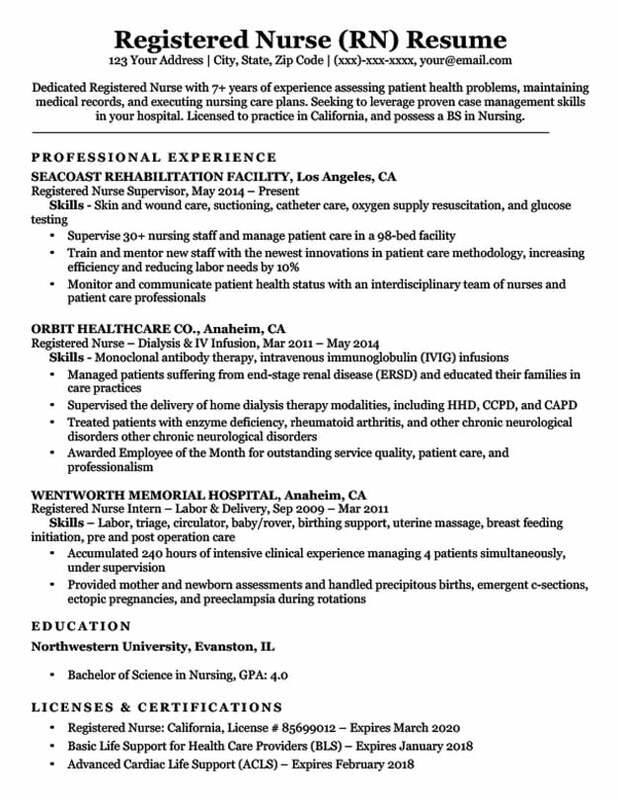 Dedicated Registered Nurse with 7+ years of experience assessing patient health problems, maintaining medical records, and executing nursing care plans. Seeking to leverage proven case management skills in your hospital. Licensed to practice in California, and possess a BS in Nursing. For your resume, your goal is to show the attributes that make you similar to an RN you admire. As a registered nurse, you are the true workhorse of the healthcare field. Your skills and expertise are essential to hospitals and care centers, which would break down without you. The best RN you know rates high on these — the worst, low. For your resume, your goal is to show the attributes that make you similar to an RN you admire. By following our tips, you can achieve that goal. The Career Objective is effective because it immediately tells the hiring manager the critical information they need to hire you. 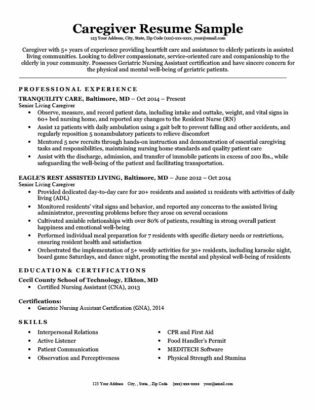 – Dedicated Registered Nurse with 7+ years of experience assessing patient health problems, maintaining medical records, and executing nursing care plans. Seeking to leverage proven case management skills to assist your hospital. Licensed to practice in California, and possess a BS in Nursing. By including that information, you will hook the hiring manager. Next up — your Professional Experience. Action verbs give your resume a feeling of life and gusto. If you start your bullet points with pronouns (like ‘I’ or ‘my’) or adverbs (like ‘quickly’ or ‘efficiently’) your bullet points will sound weak and deflated. If you’re listing experience from a previous job, be sure to use the past tense of the verb. When listing your responsibilities for a current position, use the present tense. There are many ways to handle the skills section on your resume, and you can read our full skills section writing guide here. The skills section on this resume somewhat different and unique — and it was done this way to keep all of the information on one single page. 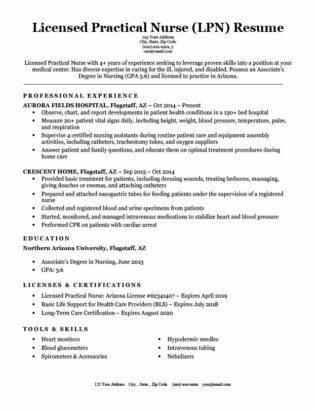 For each place this registered nurse worked, she’s created a separate skills section indicating the major skills she used. As a nurse, your required skillsets will vary widely depending on the type of treatment your patients require. Again, this is just one way of handling it. You could also have a “Core Competencies” or “Skills” section at the top or bottom of your resume, and simply have a bullet point list. That would be perfectly acceptable. Remember, the key part of writing a resume is that it should be clear and easy to read. Licenses & Certifications: Don’t Forget Them! Strategically using adjectives can help emphasize and enhance the most important points on your resume – helping them stand out even more to the hiring manager. Check out our list of 135 power adjectives for resumes and in-depth guide for details on exactly how to use adjectives to empower your resume. And that’s it. Please remember that you’ll need a companion cover letter to seal the deal. Good luck on your job search!